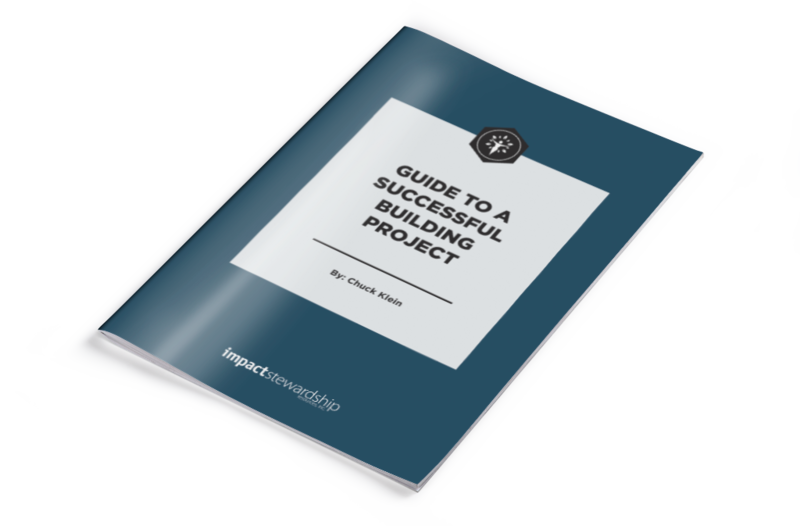 Guide to a Successful Building Project - Part Two - Impact Stewardship Resources, Inc.
After completing an assessment of all your project options, you are now ready to begin evaluating your project readiness. 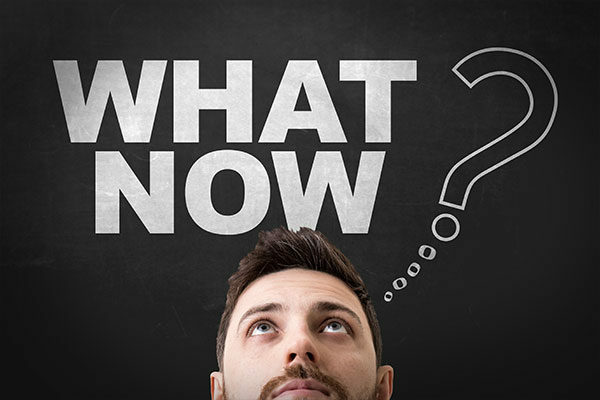 When trying to define project readiness it is common to begin asking a number of well-intentioned questions, but miss the core of any project your church should be taking on. We know we need to do this project but are we ready? Is the church on board with this? How does this project enhance our mission? How do we best communicate this potential project to the church? How do we then go about gauging support? One of the most common questions we have received over the years: “What do unsuccessful building projects and capital campaigns have in common?” Our answer would be vision, which is what most would say, but let’s drill down. “Vision” is a word everyone uses loosely, but let’s clearly state what it is for our purposes. Often it is due to lack of clarity or a clear explanation by leadership. Most people just want to know “(1) What are we doing? (2) Why do we need it? (3) What are you asking me to do about it?”. It’s really that simple. Many times, there is a failure to engage the entire church. A healthy program will engage and challenge the entire church’s input, support and participation. In our experience, sometimes the project size may appear to be too big. Leadership must do a complete and absolute job of communicating their financial plan to show how it is not only fiscally feasible but a sound investment in the future. What happens when the project does not meet congregational expectations? 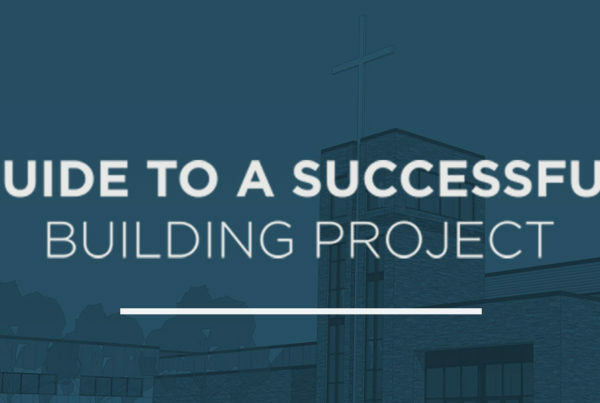 Sometimes there are multiple projects needed and leadership selects the wrong project without doing any feasibility studies to gain congregational buy in for the various options. When a church moves forward too quickly without first properly addressing certain issues the results can be disastrous. This is where a vision can die. Why? Because the “ready, fire, aim” approach will get you every time. That is why it is so important to talk with a stewardship consultant very early in the process. A trained stewardship consultant can help you fully explore, develop, and articulate a vision that is based on the ministry needs of the church. It is never a good idea to leave your congregation in the dust or worse yet pursue a vision they will not support. On the flip side, dragging out the process can kill the momentum and slowly drain a thriving ministry. “Analysis paralysis” occurs where any decision-making is double guessed and the fear of moving too fast can screech any momentum to a grinding halt. A trusted, experienced partner can help you navigate these areas and think through the process in a logical and methodical way. • Clarifies the vision and increases ownership of vision and project. • Defines cost parameters/scale, which saves massive amounts of time, money, and energy. • Confidence when communicating the vision. • Forecasts practical and achievable financial goals and potential that helps leadership plan accordingly. • Sets course and pace of the campaign with specific action steps. Learn the effectiveness of the “collaborative team effort” and the entire three-part blog series.